Harajuku girl wearing a black floral dress and teal lace-up sneakers. 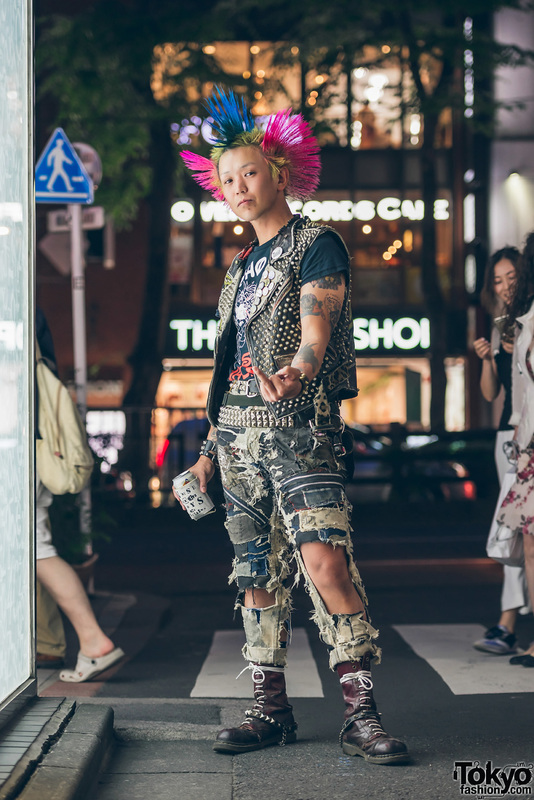 Kentaro the punk in Harajuku wearing a handmade studded vest over a band shirt, distressed denims, mid-calf boots and handmade accessories. 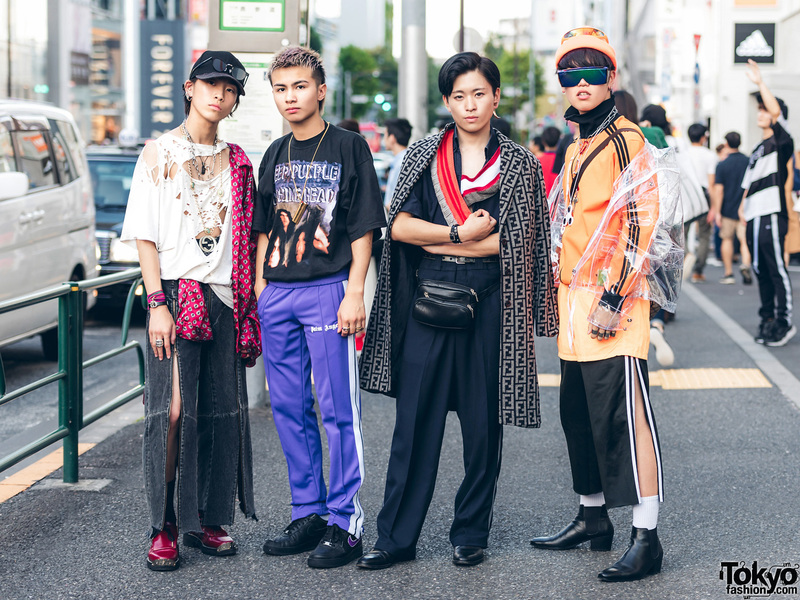 Harajuku guys sporting different styles of streetwear fashion on the streets of Harajuku. 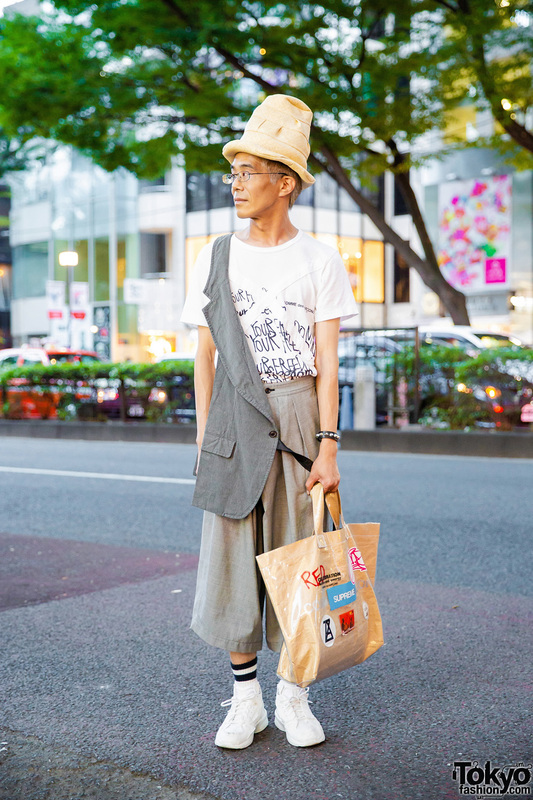 Moth in Lilac guitarist on the street in Harajuku sporting a gothic rock style with tank top over long sleeve lace top, pleated skirt, torn stockings, platform shoes, box bag, and accessories.